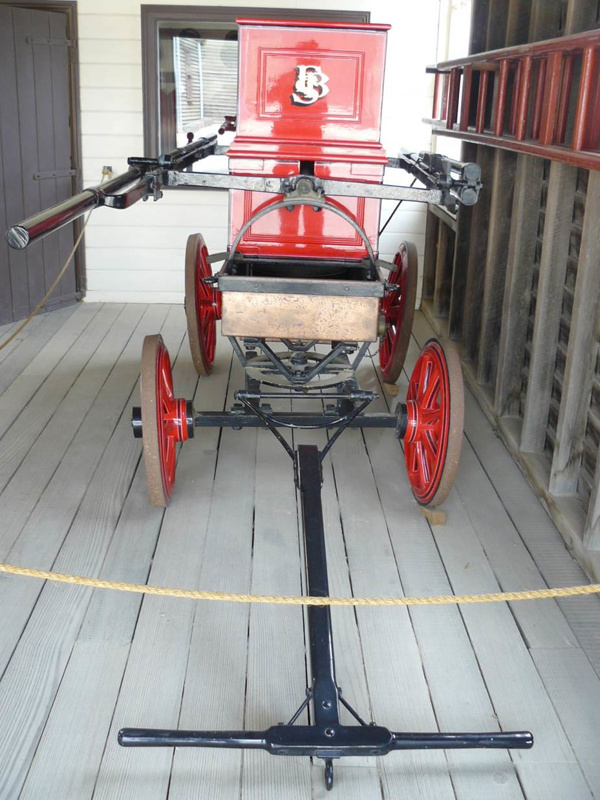 About this objectFire Pump Wagon painted red yellow 1853. Lettering black trim. Water Tank sitting in cart base which has 4 wheels. Long black shaft at front. 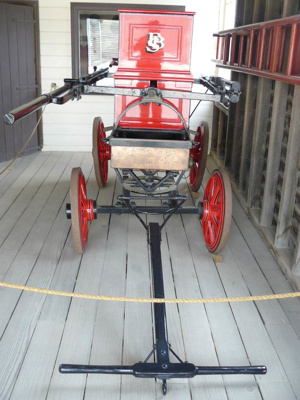 Twin piston operated pump, hose connection, fold-out pump arms both sides of vehicle, iron tyres.